Want To Get Your Kids Involved In Community Service? 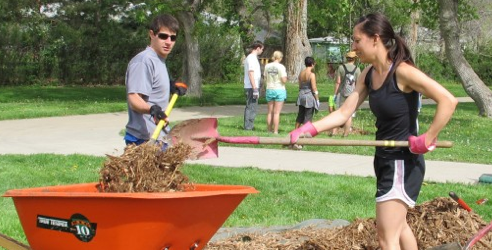 Boulder’s Community Clean-Up Day May Be Just What You’ve Been Looking For! On May 17, 2014 there is an opportunity to help clean up Boulder by removing trash, waste and recyclables, restoring flood damaged underpasses, and pulling weeds from parks, greenways and trails. You pick the location and on-site project leaders will provide direction and supplies! The projects run from 8:30am to Noon. A great opportunity for families! The structure is provided so all you need to do is bring the kids and get them involved in enhancing our community! Enjoy an ice cream social afterwards to celebrate! Print the volunteer waiver , sign it and bring it with you on Community Cleanup Day! participants will receive a one-day pass to the Boulder Reservoir and be entered into a prize drawing. 8 to 8:30 a.m. at Scott Carpenter Park. Para mayor información o ayuda en Español, o si usted necesita alguna parte de este documento traducida, por favor comuníquese al 303-441-1905.